Ever wanted to log a double digit run?!? 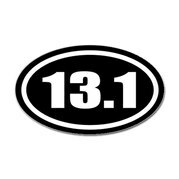 This 15 week program uses interval running (3 minutes run: 1 minute walk) to build up to your choice distance. You'll be a part of a supportive & social team that will help you reach your goal. Runs will be approximately 10-13 minute miles**. Participants will receive weekly training tips via e-mail, including suggested supplement training, and are welcome to participate in weekday shorter morning runs. Participants should have at least 2 months base of 5-10 miles per week and should be comfortable run/walking for 3 miles. The first run will begin with a 3-4 mile run. $185 Registration (race not included) for new participants. **Please contact me if you have questions about the training/race pace - there is flexibility. Remember: ALUMNI, register under the ALUMNI group in order to receive your discount.